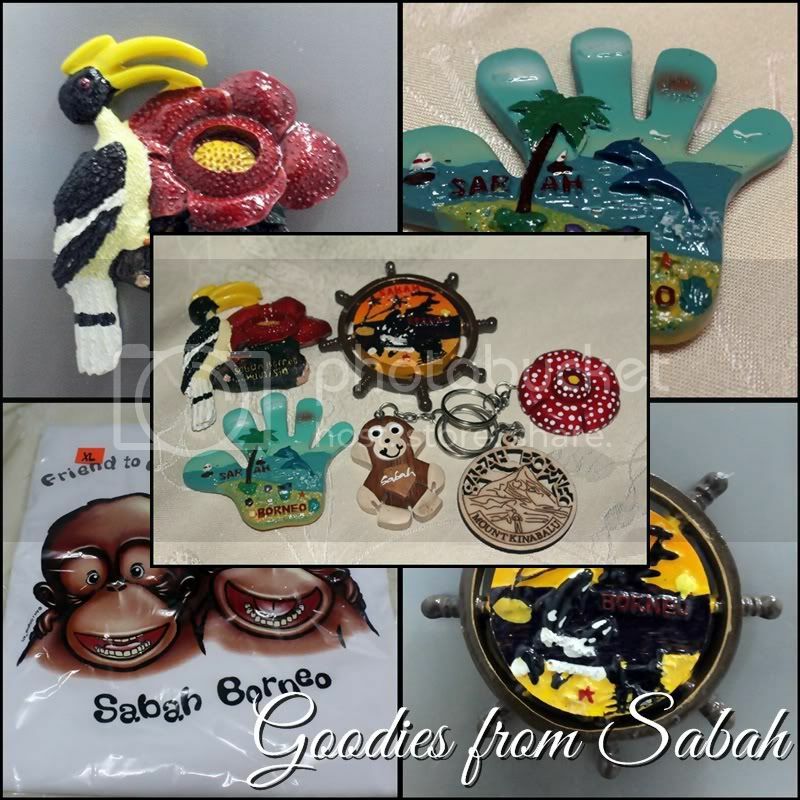 Harvest Festival is just around the corner for both Sabah and Sarawak. The Kaamatan festival is an annual event in the cultural life of the Kadazandusuns of Sabah since time immemorial. This ceremony is now celebrated at village, district and state levels annually (30 - 31 May). While, Gawai Day or Gawai Dayak is a festival celebrated in Sarawak on 1 June every year. It is both a religious and social occasion for the native ethnic groups in Sarawak which includes the Iban, Bidayuh and the Orang Ulu. This mean I am going back home to celebrate Gawai Dayak with my family, relatives and friends. My holiday season will start from 29 May till 4 June which means that I would not be 24/7 in front of my laptop for any internet surfing unless there is time for me to do so. But I would not leave my reader with empty thought. 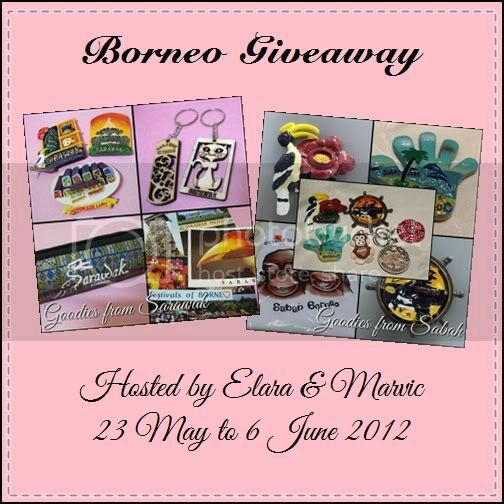 Thus, me and Elara has decided to throw out a Borneo Giveaway. We both celebrate Gawai Dayak so we love to share our celebration with our readers. 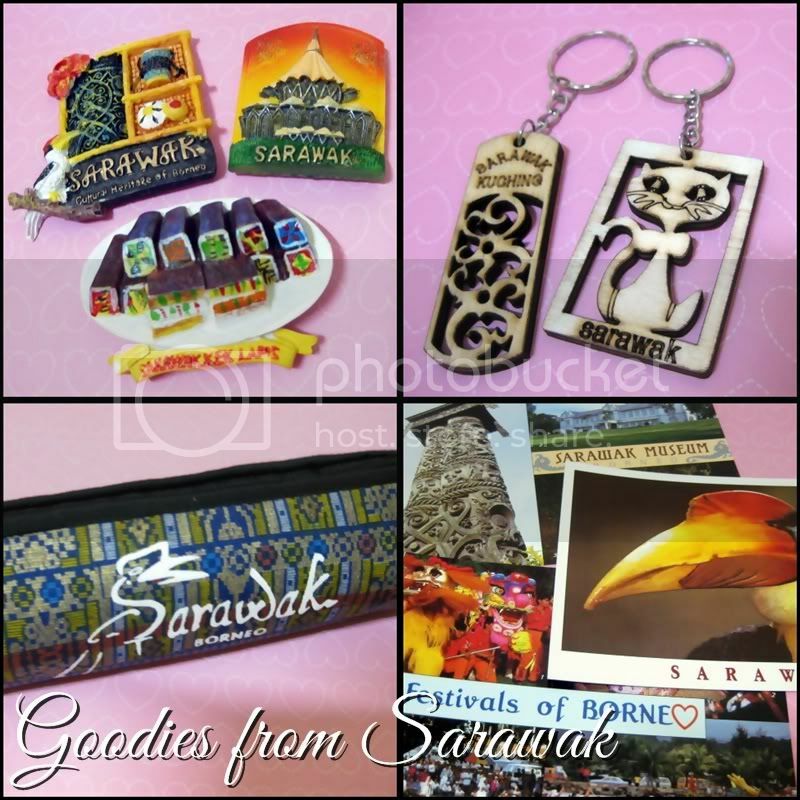 Here is some of the items that we love to give out to our lucky readers. 1. Write a blog post on either Sabah or Sarawak. You can write about your experience, share photos you took in Sabah or Sarawak, or write about whatever you know about the state of your choice. 2. You can write about both states, if you like. 3. You can write your blog post in English, Malay or both. 4. Entries must be original, and not copied from other sources. 5. Please include our blog links, When Elara Writes (http://www.phat-woman.com) and Notes by Marvic (http://notesbymarvic.blogspot.com) in your blog post. 6. Also include our giveaway banner in your post. 7. Once done, leave your blog post links here, in the comment section. 1. This giveaway is only open to those residing in Malaysia. 2. This giveaway contest starts from Wednesday, 23 May 2012 to Wednesday, 6 June 2012. 3. Two winners will be picked by Marvic and I - a winner for Sarawak post, and a winner for Sabah post. 4. Winners will be announced on Thursday, 7 June 2012. 5. Multiple posts on the same or different blogs are allowed, but you can only win one prize. 6. Please do not copy part of my post as your blog post, except for the rules and banner.